1. Why would I need this? Our products can actually stop a break-in and prevent loss of property. Even with a conventional alarm, it is nearly impossible for the police to get there in time to prevent major losses. 2. Does this stuff really work? With our twenty-five plus years of experience with the Burglar Bomb, Repulsars, and Interceptors, we have established a performance record that is unsurpassed by any other security system or device at any price! 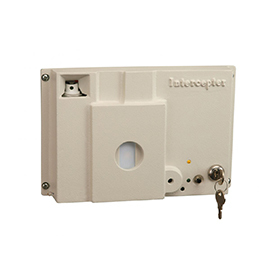 Burglary protection is provided by a high volume charge of finely atomized pepper spray that is released by our devices when an intruder enters the premises. This aerosol fills a room in seconds, causing extreme bouts of coughing and shortness of breath which forces anyone present to head for an exit. 4. What if I set it off myself? If you should accidentally set off a unit, go outside for some fresh air. 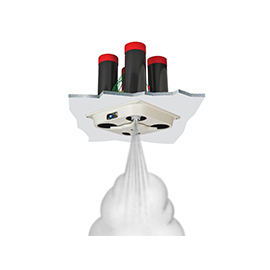 The aerosol spray will linger effectively for up to an hour. The affected area should self-clear in about four hours. Ventilation will speed the process. 5. Will the pepper affect adjacent rooms? Yes. Although closed doors will impede penetration into adjacent rooms. 6. Is there a residue? Technically, yes. But, it is so minor as to be undetectable. 7. Is the residue toxic? No. The active ingredient is food grade pepper extract. 8. Is any cleanup required? No. But, if you feel inclined to do something, normal household cleaning procedures such as vacuuming, damp mopping, and damp dusting will work nicely. Avoid sweeping for a while. 9. Will it harm my pets? Normal concentrations will not injure animals such as dogs or cats, but may be harmful to birds. If you have dogs and cats, we recommend you use the Interceptor for your security needs, since the animal traffic will not be detected as they pass below the detection zones. 10. Are the units difficult to install? No. 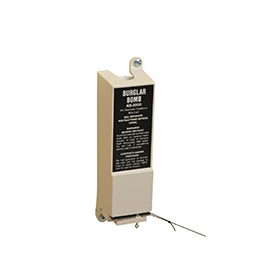 The Burglar Bomb and Interceptor can be installed in minutes with as little as a screw driver. The Repulsar units take a bit more effort. 11. Can I get a copy of the installation instructions? Click the product installation instructions below or you can go to the product details page under Resources and the click Installation Instructions link. 12. Can this equipment be tied in with my alarm system? 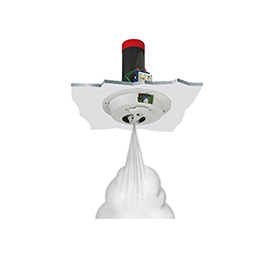 The Repulsar I and the Repulsar IV are designed specifically to interface with conventional alarm systems. 13. What is the temperature range for successful operation? The normal operating range is 32 degrees F to 120 degrees F. For operation outside this range, consult with our engineer. 14. Do the aerosol cans have a shelf life? Yes. They should be replaced every three years. Expiration dates are printed on each can. 15. Where can I get replacement cans? You can order online, or call 1.800.235.6961. Note: We like to hear from customers whose Burglar Bomb, Repulsar or Interceptor has saved their property in a break in attempt. If you send us a copy of the police report, we will send you a free set of replacement cans. 16. Is it OK to substitute a different brand of pepper spray? No. The actuators and formulation are very specific to our personal security devices. The spray is a super fine atomization that provides exceptional hang time and dispersion. It is also nonflammable. Substituting another brand could cause results that range from disappointing to hazardous. 17. Is there a warranty? Yes. One year. See instructions for any of the models for details. If you want the best home defense product available on the market, our burglar bomb provides the perfect home protection service that both protects your belongings and your family, while also respecting the burglar’s right to life with its non lethal incapacitating mechanism.